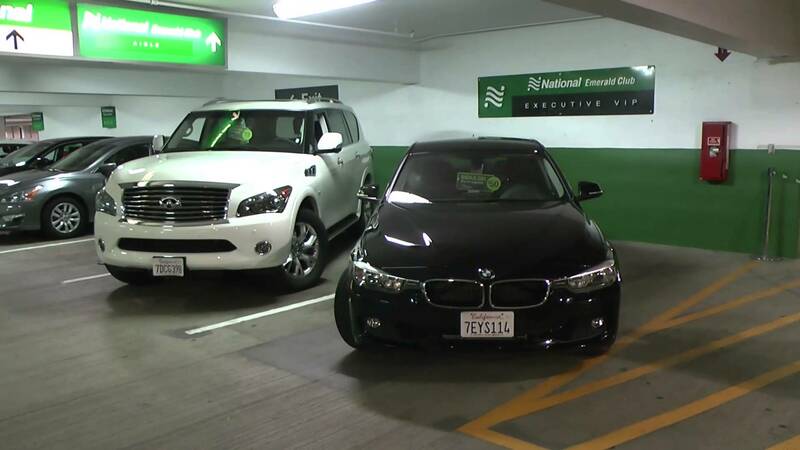 National Car Rental is a vehicle rental service headquartered in Clayton, Missouri, USA. It is a subsidiary of the privately held Enterprise Holdings company, who own several other car rental businesses. National Car Rental operates across the United States and all over the world, with standalone locations and desks at places like airports. You can also hire a car online at NationalCar.com. Here discounts can be applied to your booking by using special National Car Rental coupons. We list all of these offers and deals hear at Coupofy, so be sure to check back before using the site. National Car Rental car be traced back to 1947 when 24 independently owned car rental companies came together under one banner which covered 60 locations across the United States. They decided that they could dominate the market and be much more successful with a unified brand. The business has slowly expanded ever since then and has become its own single entity. It was sold for $1 Billion in 1995 and has grown even more lucrative since then. In 1996 they acquired Tilden Rent-a-Car, which brought the business to Canada. As of 2005 there were over 2,000 National Car Rental locations. The advent of its internet service which began taking reservations directly through the site in the early 2000s has kept it one of the most successful rental services in the world. The vehicles available at your chosen location will vary, but there is always a good selection. These will include cheaper vehicles all the way up to executive class. There will also be a range of vehicle sizes to accommodate everybody's needs. For example you might go for a 4x4 or people carrier, or a standard subcompact. Handy information is displayed alongside each vehicle, such as the number of seats, luggage space, transmission type, and any in-car entertainment. If you wish to have a secondary driver covered (a spouse or partner) there will be an extra daily fee. If you have a discount National Car Rental coupon code, this can be used for any type of vehicle. National Car Rental support a wide variety of payment options including all major credit and debit cards from your region (American Express, MasterCard, VISA, Discover Network, JCB, Diner's Club). Depending on the location you can also use cash if you make your rental face to face. They also accept money orders and gift cards. When hiring online you can redeem National Car Rental coupons by entering the code in to the promo box, just ahead of the payment step. 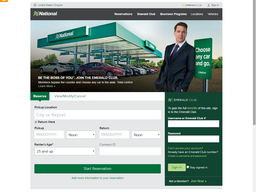 To make a car rental reservation online you need to go to NationalCar.com. Here you will be met with a simple form to complete where you select the airport or city where you wish to pick the car up from, the date of the pickup and the date of the return, your age, and country of residence. There are localized sites for certain countries like the UK so you can make rentals in your local currency. After you've filled out the form the site will then pull from its database the available vehicles, the price this will cost per day, and the full price altogether. This includes any taxes and fees. Once you choose a vehicle you can then select from various extras such as a car seat for children or toddlers, and a GPS Navigation Device to help you get around. You are free to modify or cancel your booking up to the date of use, the latter of which will allow you to obtain a refund. You cannot get a refund after the fact unless you are making a claim on a faulty vehicle. @Traveling9to5er Happy to hear that you enjoyed our lounge, @Traveling9to5er! What was your personal favorite perk? @kempb56 We're so glad we could help you out! Hope you enjoy your time in Arizona! @mjmiranda001 Thanks for checking-in! What car did you cruise away in this weekend?